Currently the newest trick black hat coders invented is a way to how to hack Facebook accounts with special software from www.progressivepst.com they’ve built for that. And by now FB staff team still didn’t find a right patch to stop Facebook passwords getting cracked with it. It functions with a specific system of using an exploit from FB’s database from which this tool drains sensitive information like login passwords of users. And that’s not all it can steal. Your phone numbers, messages and all your secrets stored in your profile such as activity log, email address and such are exposed too. A principle what motivates creators of this application to update it and make it working is a “Nothing is 100% secured on internet“, which they have proved with making their app. Now it’s matter of time when (if) this method will get sealed by its official operatives. Why do people do such things to social media accounts you might ask. To try this program by yourself while it still works you can get it from the link above where their developers upload it. Just make sure to have a good antivirus protection because these kind of tools are usually binded with other malware/spying executable files which can infect your PC if you are not protected or educated enough to recognize it. 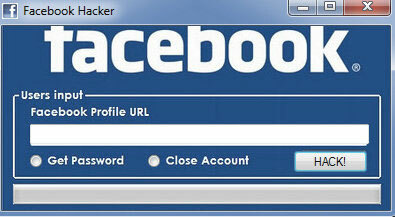 Use Facebook hack tool just for personal educational need. It’s strongly against the law to use this software to get login information (email/password) of other people accounts. So just try it for fun while it’s still working and delete it from your computer after using.